Create a personalised piece of jewellery that will be cherished and kept forever, marking a special moment in your life. 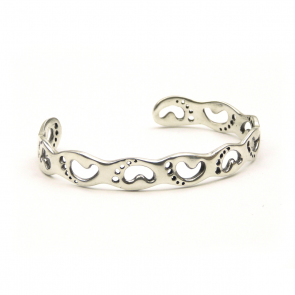 This lovely Little Foot charm is made of solid silver.Comes on a suede leather cord bracelet that is approximately 7 inches in length with a silver clasp. 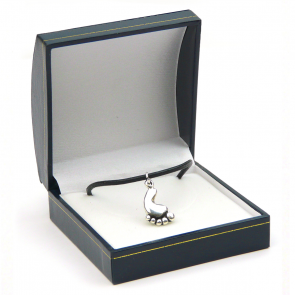 Every Mum to be will love this really high quality piece of jewellery to be worn throughout her pregnancy and to have as a lovely memory keepsake for years to come. Oval shaped, like an egg, this bola is the perfect symbol for new life. 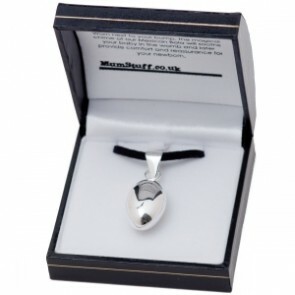 Handmade in Mexico exclusively for MumStuff, this silver-plated Mexican Bola Pendant makes a treasured keepsake gift for mum to be. This solid silver cute Little Foot pendant comes on a suede leather cord necklace that is 18 inches in length. 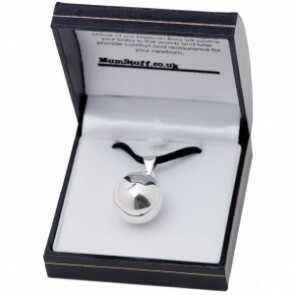 Handmade in Mexico by our team of silversmiths exclusively for MumStuff, this authentic heart shaped silver-plated Mexican Bola Pendant makes a beautiful keepsake for an expectant mum. Wear the bola pendant under your clothes next to your bump and from around 20 weeks old your baby will be able to hear the bola's gentle chime. As time goes by the chime will become familiar to your baby and may comfort, reassure and relax them in the womb.